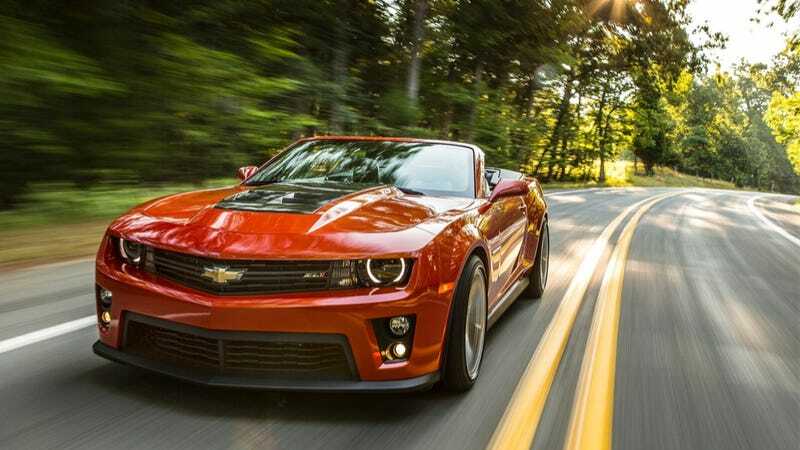 When Chevrolet announced they would be bringing back the Camaro, there was much rejoicing from pony car fans everyone. And apparently many of those pony car fans are also car thieves, because the Camaro is the most stolen sports car in all the land. The Camaro and the Mustang have been in a sales battle since the beginning of pony car time, with the Mustang sometimes coming out on top in terms of sold cars. But the Camaro wins in cars obtained for free. 1,509 Camaros were stolen between 2010 and 2012, while just 980 Mustangs were taken in the same time period. This can mean one of two things. Either the Camaro is more desirable than the Mustang and robbers just see them and absolutely must have them, or the Camaro is just that easy to steal. And like sales numbers, the Dodge Challenger comes in third with just 782 stolen. Step up your game, robbers. There are plenty of Challengers out there. Take a few more. The list is rounded out by the Porsche Panamera, Audi A5/S5, Corvette, Nissan 370Z, BMW 6-Series, Porsche 911, and the Volkswagen Eos, which I don't really think belongs on that list. Plus, only 23 Eoses (Eoi?) were stolen in that time period.